There is Much to be said about ‘money’ as a topic. Basically I See it as Energy that does better when Moving… So with that being said, “I”, personally, am not a 501c3. And I have a personal Guiding Light on tithing (Sharing). This Guiding Principle is to Tithe to The Expression of the Truth. And if you are so moved… I will accept all financial gifts or tithes. I am not , nor have any interest in being, a 501c3. 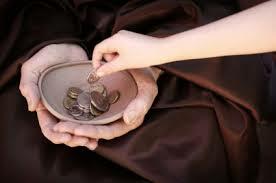 Your money would go in my ‘Abundance Bowl’ and you would Know that it will go to further the Expression of God… Here is a paypal button for your convenience. I am also very happy to announce that I am available to speak at functions. You have a venue… I have a soap box for God. You have a beautiful site chockful of inspirational information! Thank you for becoming my friend on Facebook and the amazingly clear information that you present. Beautiful!